Here is a template that you can use to test your users and see if they will click on a Big Game related phishing attack. There are bad guys out there trying several scams to entice gullible end-users and infect their workstation. 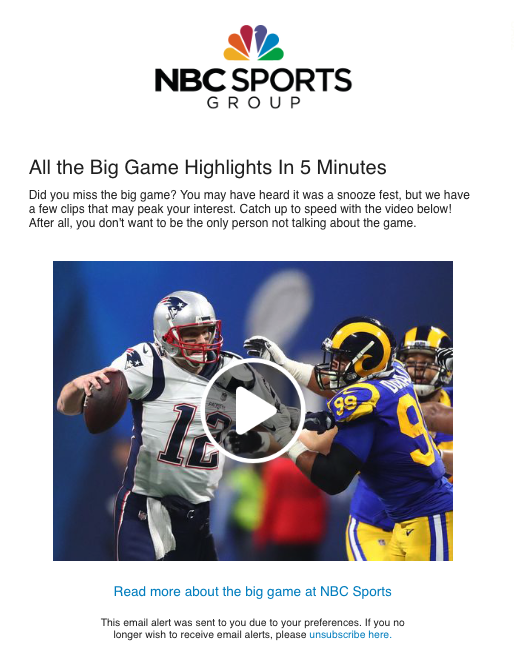 This template lives in the Current Events category and is called: NBC: All the Big Game Highlights In 5 Minutes! Let's see who you can catch..